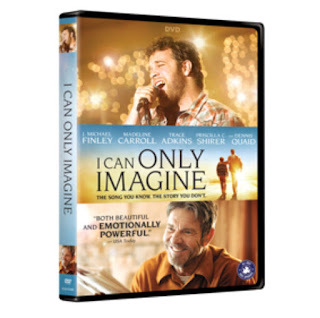 This movie is a telling of some of the life circumstances leading up to the creation of the chart topping song also called I Can Only Imagine by Bart Millard of Mercy Me. It is a story of his childhood and his pain, but also a story of forgiveness and redemption. The story steps back in time to the seventies, the time period of both the author’s childhood and my own. There are a few interesting period inclusions such as cassette tapes. Dennis Quaid and Trace Adkins star in this inspiring true story behind MercyMe’s beloved hit song. Running from a troubled home life and a broken relationship, Bart Millard (Finley) found escape in music. Hitting the road in a decrepit tour bus, Bart and his band MercyMeset out on an amazing journey none of them could have ever imagined, in this uplifting, music-filled movie that beautifully illustrates the power of forgiveness and God’s love. NASHVILLE, Tenn (April 30, 2018) – Experience the uplifting story that shares the power of forgiveness when I Can Only Imagine arrives on Digital June 5 and on Blu-rayTM Combo Pack (plus DVD and Digital), DVD, and On Demand June 12 from Lionsgate and Provident Films. 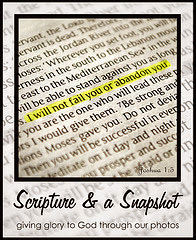 Directed by the Erwin Brothers (October Baby, Moms’ Night Out) and written for the screen by Jon Erwin & Brent McCorkle, the film tells the incredible true story behind Christian band MercyMe’s iconic, history-making song “I Can Only Imagine.” Starring in the film are up-and-coming Broadway star J. Michael Finley (“Les Miserables”) and Golden Globe® nominee Dennis Quaid (2011, Best Actor – Limited Series or Television Motion Picture, The Special Relationship; 2003, Best Supporting Actor – Motion Picture, Far From Heaven), as well as Trace Adkins (The Lincoln Lawyer, Traded), Priscilla C. Shirer (War Room), Cloris Leachman (The Last Picture Show, Spanglish), and Madeline Carroll (Flipped). Disclosure: The following is a promotional post for I Can Only Imagine DVD which was provided by FlyBy Promotions. All opinions are my own and that of my family. No other compensation was provided beyond the DVD to review.